Is there anyone good with as graphics editor here? 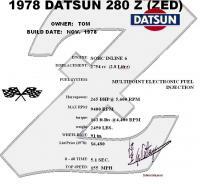 I have been unable to find a good Datsun logo in EPS format to give to the sign printer for enlarging, to make some great big magnetic logos for autocross and show. The sign shop SHOULD have flexisign software, if they don't, find another shop. Flexi can take almost any pic or graphic off the internet and turn it into a high res vector to print or plot. Also careful with magnetics on a race course. The cheaper stuff will blow off at around 80 mph. We paid almost $11k for flexie pro a few years back, it is an awesom graphics program, esential for running the big arse printers we are using. This is why the product is expensive, the software and hardware necessary to create big graphic images from small art is ungoddly expensive. As is so often stated around here, you get what you pay for. Sorry, but all the local printers just do small signs using some cheap graphic software. The one I used actually tried to recreate the logo himself but 'couldn't find the right font' so I insisted he just go withthe graphic I provided, which is what I wanted in the first place If you want Flexisign, you gotta go downtown to the places where they make the old-fashioned billboards. If you try someplace like the OfficeMax cop/Print center, you're on your own, as they only accept finallized documents like PDF files, because they don't want to mess with things themselves- just print what you give them. This is what I did to make a 20x 22 inch Display sign (below) for the car. I was able to put together a graphic which turned out OK. It's an EPS (photoshop) vector file, so it should scale well. Uncompress the attached zip file and there you go. Yeah, I back-calculated the figures to recover the 35 years of use... others are to keep in-line with all the opinions/memories I'm given. the stuff at the top, Mr. K's autograph, and the wheelbase are correct, AFAIK. If you try someplace like the OfficeMax cop/Print center, you're on your own, as they only accept finallized documents like PDF files, because they don't want to mess with things themselves- just print what you give them. This is what I did to make a 20x 22 inch Display sign (below) for the car. .
We did get it to go 110 MPH at 5500 RPM on a dynamometer last summer. 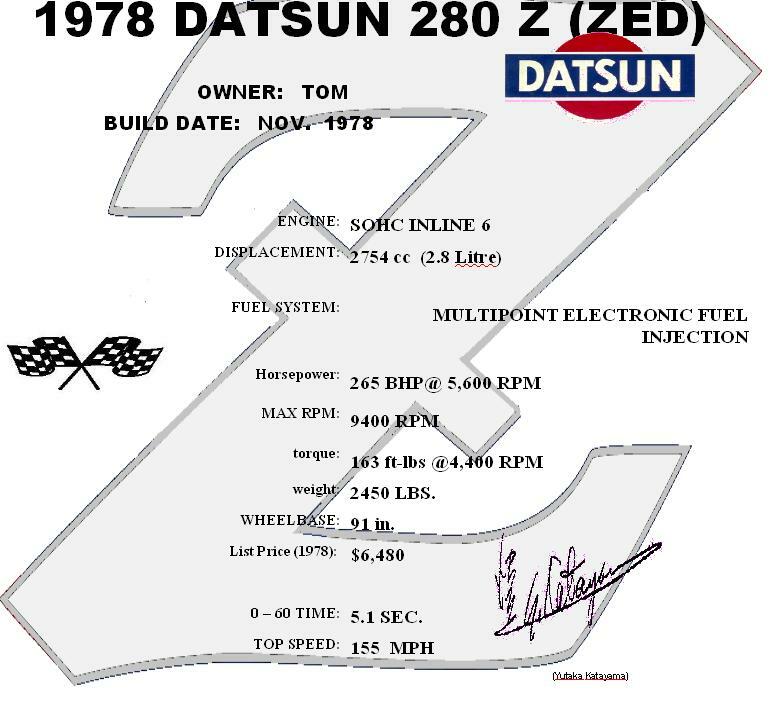 Anyway... this topic is about the Datsun graphic, of which was made 4 copies, about 12 x 20 inches overall on adhesive-backed vinyl, and I'll stick it on some magnetic sheet stock soon. FYI Photoshop gives a 2 week trial. What you want to do is convert to a vector and it does it very well. I'm not too keen on Ohotoshop, but maybe someone here is, and would give it a go, to perfect the graphic.